Who Does It Better? Animal Kingdom Lodge or Polynesian Village? There are so many choices when it comes to deluxe accommodations at Walt Disney World Resort. It's difficult to decide which resort to stay in. Who does it better? 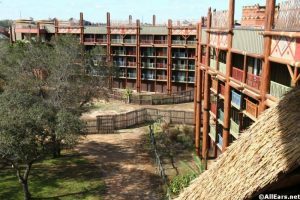 Animal Kingdom Lodge or the Polynesian Village Resort? 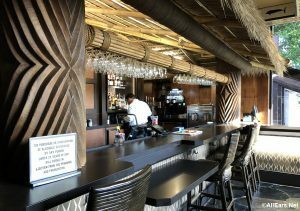 Polynesian Village Resort's Tambu Lounge closed this past summer for a refurbishment. Now, we have photos of the touched-up location. Take a look here. 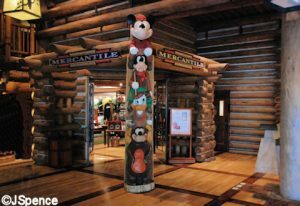 You might have come across the following images at Walt Disney World. I think several of them are decent Hidden Mickeys, but maybe one is too obvious to be called “hidden”? At Epcot, don’t miss this Mickey with earphones when you’re greeting the real Mickey at the Character Spot. Find it on the left side … Continue reading "A Few Hidden Mickeys around Walt Disney World"
Various paintings hang on the walls in The Plaza Restaurant in the Magic Kingdom. This painting is on a rear wall to the right as you enter. Two sets of small circles on the front of this woman’s dress suggest classic Mickeys. One group of circles is near and below her right hand. The other … Continue reading "Hidden Mickeys around Walt Disney World"
The new Highway in the Sky Dine-Around will give guests priority boarding on the monorail for a progressive dining journey around the circuit between Disney&apos;s Grand Floridian Resort and Spa, Disney&apos;s Polynesian Village Resort and Disney&apos;s Contemporary Resort. Highway in the Sky Dine-Around is offered Tuesday, Friday and Sunday beginning December 2. Reservations open November 29. (No dine-around between Dec. 18 and Jan. 3). Cost is $150 plus tax and gratuity. Valet parking is included. For reservations, 407-WDW-DINE. I was one of the many disappointed when the announcement was made the Polynesian Lobby would be totally renovated. The waterfall and the plants were so beautiful. As I went in search of a waterfall photo, I came across this one taken during the month of December. I do like Poinsettias. Hope you do as … Continue reading "Disney Pic of the Week: Polynesian Lobby"
When the new Polynesian Village Resort lobby was revealed it sported a more open one from the last one which was dominated by a large tropical landscape including a waterfall cascading down through beautiful flowers. A few months later, a Tiki god was added to the center of the new lobby. 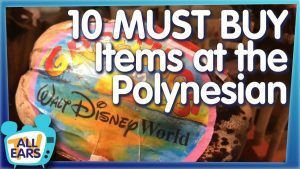 The Tiki god is … Continue reading "Disney Pic of the Week: Polynesian Lobby"